Our concept is to combine the function of a door handle with the function of a sign. 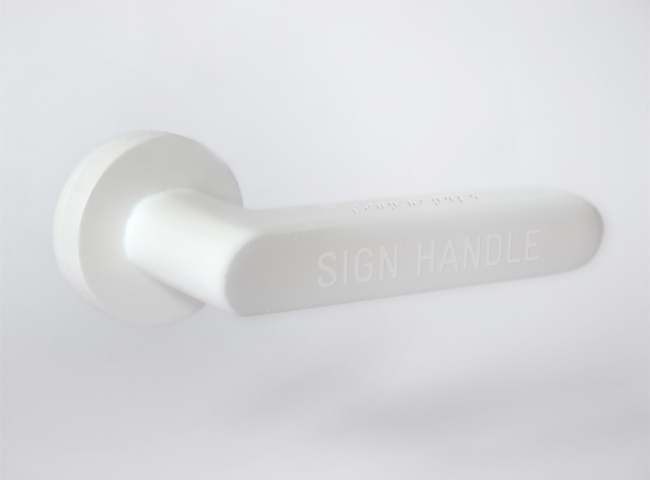 We believe the surface of a door handle can act as both a visual and tactile device to convey information to people including the visually impaired. 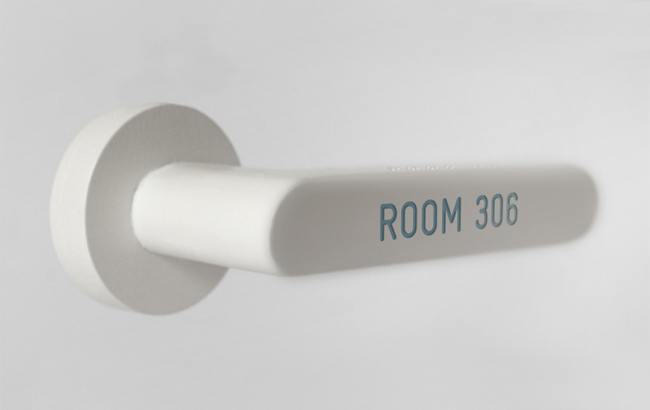 The sign handle can be used to inform people of the function of the room or as an identification tag. In big public building projects it can be part of the graphic identity and increase the user friendliness for the general public. Our handle has a simple, functional shape to be made in either steel or plastic with the text of the sign embossed into the front of the handle. We have used a rounded sans serif font for clarity while still being nice to the touch. At the top of the handle is a space reserved for braille. In collaboration with Christian Svinddal.